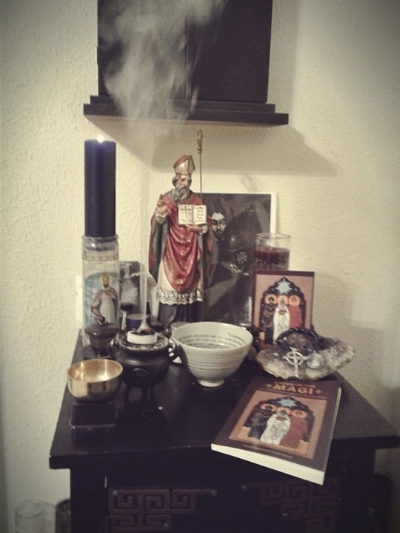 Today marks the third day of the third month of this year, the date set to formally release my new text, A Book of the Magi: Lore, Prayers, & Spellcraft of the Three Holy Kings. This book is published through the Folk Necromancy in Transmission series (which I set up with my best friend and Golgothan co-host Jesse Hathaway Diaz) under the wide welcoming umbrella of Revelore Press. This marks the third FNiT publication, and I hope my Book of the Magi makes a worthy companion to our Cypriana: Old World anthology and José Leitão's Immaterial Book of St. Cyprian, both of which I am very proud to have helped make happen. While this newest magian book in the series moves away from the Good Saint Cyprian himself (although he does appear near the end!) it remains firmly rooted in a folk necromancy that explores and celebrates various mythic and historical roles and meanings of a set of patrons of magicians. So what does this Book of the Magi contain? Part I, 'The Cult of the Magi', explores the history of depictions, venerations, and rituals associated with the Three Wise Men, from early Christian funerary art, to their incredibly popular pilgrimage cult in Cologne, to the various religious and magical significances of the Three Kings in the so-called New World for both colonisers and the colonised. Part II, 'Works of the Three Holy Kings', collects rites, charms, incantations and formulary under the patronage of the Magi from a variety of grimoiric sources. It also charts and analyses how such spellcraft can be approached as inspirational and traditional as much as strict prescription; and even begins suggesting methods of expanding and developing on the extant historical material in a responsible devotional and experimental manner. Also there is a cake recipe. You can pick up a copy either from Revelore Press direct or via Amazon. 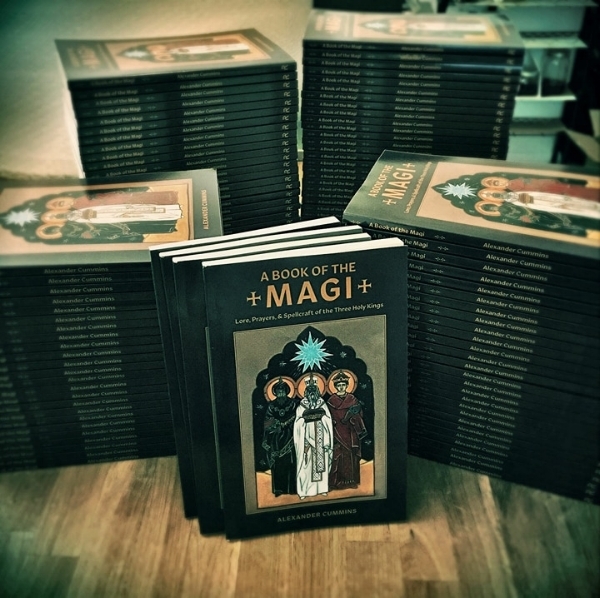 The idea of this book is not to be a definitive proclamation text on the Magi, but rather a sleek practical starting place for folks to further develop their practices with patron magicians. Thanks to the logistics wizardry of Dr Jenn Zahrt at Revelore Press, those who pre-ordered their copies received them a day or two before this official release date: over at the Folk Necromancy group on Liber AF we've already started to see photos shared of this book and its icon on shrines and altars. Which, as an author and a devotee, does my heart such a good, I don't mind saying. I hope that this publication sparks and reignites all sort of excellent conversations about magical patronage, spiritual ancestors, and folk necromancy. And, of course, I wrote it to be used, and in honour of the Three Wise Men who gathered at a three-way crossroads following a Star. Those Magi whose names - + Caspar + Melchior + Balthazar + - have been prayed for centuries in breath and chalk and ink and thread for safe travel through this world and into the next.